You're everywhere to me, and when I close my eyes? It's you, I see. You're everything I know, that makes me believe. I'm not alone. Oh, why can't I ignore it? I keep giving in, but I should know better. Because there was something about the way you looked at me, and it's strange that things change. But not me, wanting you so desperately. I've been driving for an hour, just talking to the rain. You say I've been driving you crazy, and it's keeping you away. So, just give me one good reason. Tell me why, I should stay. Because I don't want to waste another moment, saying things we never meant to say. 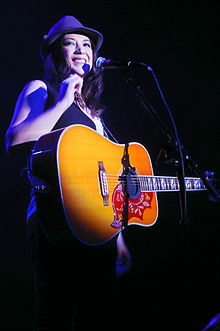 Michelle Jacquet DeSevren Branch (born 2 July 1983) is an American singer-songwriter and guitarist from Arizona. The game of love is whatever you make it to be. As quoted in "The Game of Love" (September 2002), by Santana, Shaman. 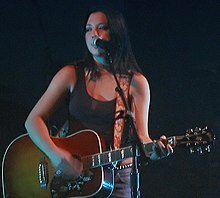 The Spirit Room (14 August 2001), California: Maverick Recording Company. Turn it inside out, so I can see. The part of you, that's drifting over me. Because when I wake you're, you're never there. But, when I sleep? You're? You're everywhere, you're everywhere. Just tell me how I got this far? Just tell me why you're here, and who you are. Because every time I look, you're never there. And every time I sleep, you're always there. Because you're everywhere to me, and when I close my eyes? It's you I see, you're everything I know. That makes me believe, I'm not alone. I'm not alone. I wanted, to be like you. I wanted, everything. So, I tried. To be like you, and I got swept away. I didn't know that it was so cold and, you needed someone to show you the way. So I took your hand and we figured out, that when the time comes? I'd take you away. If you want to? I can save you; I can take you away from here. So lonely inside; so busy out there. And all you wanted, was somebody who cares. Of all the things I've believed in? I just want to get it over with. Tears form behind my eyes, but I do not cry. Counting the days that pass me by. I've been searching deep down in my soul. Words that I'm hearing? Are starting to get old. It feels like I'm starting, all over again. The last three years were just pretend. And I said, goodbye to you; goodbye to everything that I knew. You were the one I loved; the one thing I that I tried to hold on to. Now, don't just walk away. Pretending everything's okay, and you don't care about me. And I know there's just no use, when all your lies become your truths and I don't care. Could you look me in the eye? And tell me that you're happy now? Would you tell it to my face? Or have I been erased? Are you happy now? Are you happy now? Love me or leave me, baby. Don't lead me on, with loving like yours? Believe me, I'm better off. I"m better off alone. There was something, about the way you looked at me. Made me think for a moment, that maybe we were meant to be. Living our lives separately, and it's strange that things change. But not me, wanting you so desperately. Oh, why can't I ignore it? I keep giving in, but I should know better. Because there was something about the way you looked at me, and it's strange that things change. But not me, wanting you so desperately. I've been driving for an hour; just talking to the rain. You say I've been driving you crazy, and it's keeping you away. So, just give me one good reason. Tell me why, I should stay. Because I don't want to waste another moment, saying things we never meant to say. And I? Take it, just a little bit. I? Hold my breath and count to ten, I? I've been waiting for a chance, to let you in. If I just, breathe? Let it fill the space between? I'll know, everything is alright. Breathe, every little piece of me. You'll see, everything is alright. If I just, breathe. Monday comes like a loaded gun and I'm trying to escape. Want to run. Want to chase the sun; let it wash the world away. Looking out on an empty street, thinking change is what I need. I feel slow. There's an open road and I need some sweet release. I want to get away, got to get away. Going where the road meets the sky, because I need a change. Yeah, I need a change. Must have counted twenty thousand cold county lines; nothing here will get my weary soul to ignite. Hold me, hold me. Put me back together, baby. Show me that you love me; feels so good together. Every single fire, started with a spark. We could feel it burn, when we're dancing in the dark. Take me in your arms, before I fall apart. Baby, we're a fire that started with a spark. This page was last edited on 27 May 2018, at 13:17.